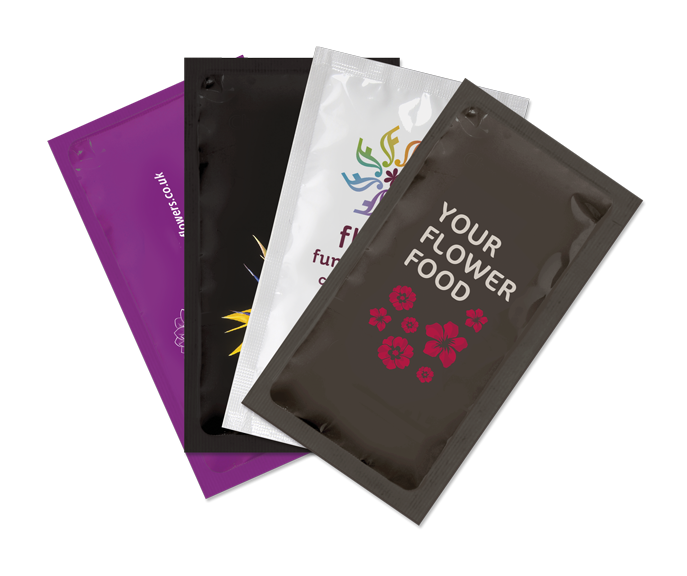 The Customised Sachet makes it possible for you to have your own branded flower food sachets. This gives you, as a florist, the opportunity to really distinguish yourself. The Customised Sachet makes it possible for you to have your own branded flower food sachets. This gives you, as a florist, the opportunity to really distinguish yourself from the competition. In addition you can also create your own custom sachets for important celebrations such as Valentine's, Mother's Day and Christmas. 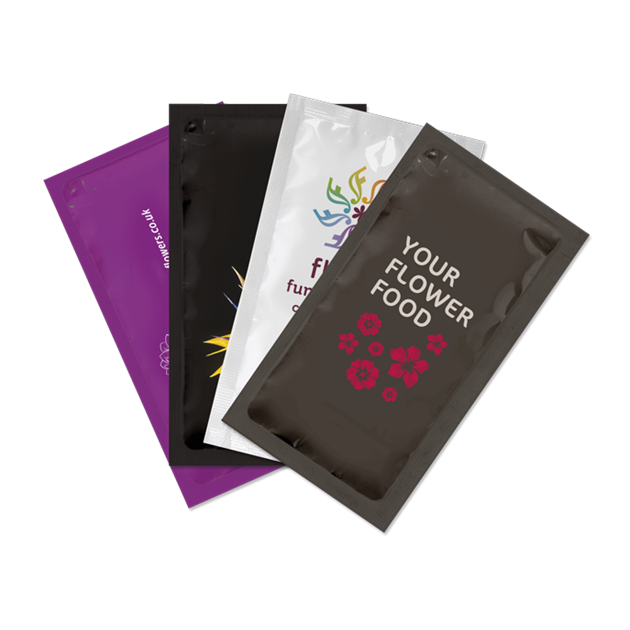 The sachets contain our well-known Chrysal Clear Universal powder, enabling customers to enjoy their flowers by up to 60% longer compared to using water alone. It mixes easily in water, is odourless and provides all the necessary ingredients for full development of buds and blooms. One box of the Customised Sachet contains 1.000 flower food packets for 1L of water. The minimum order quantity is 2 boxes.